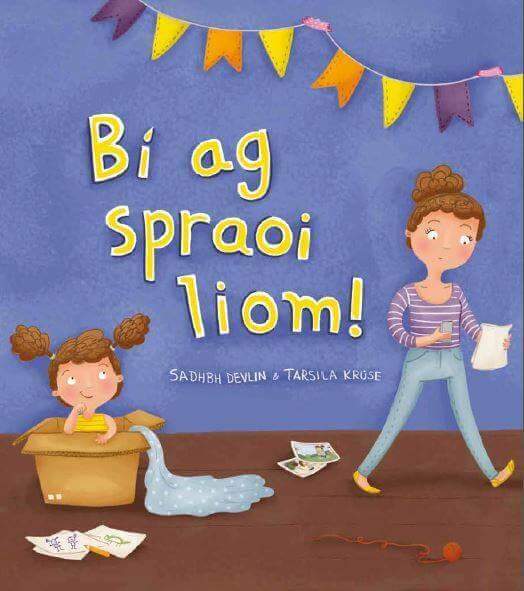 The Story with my Book: Bí ag Spraoi Liom! My book is out in the world now and it's taken me with it! It's been quite the whirlwind since Bí ag Spraoi Liom! (written by me, beautifully illustrated by Tarsila Kruse) was launched. 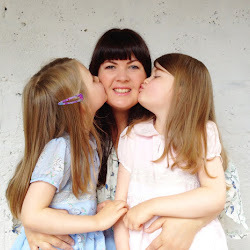 I've written about a lot of the process (as Gaeilge) over on my author blog www.sadhbhdevlin.ie. I've had it in mind that I probably shouldn't completely flood this blog with book stuff. 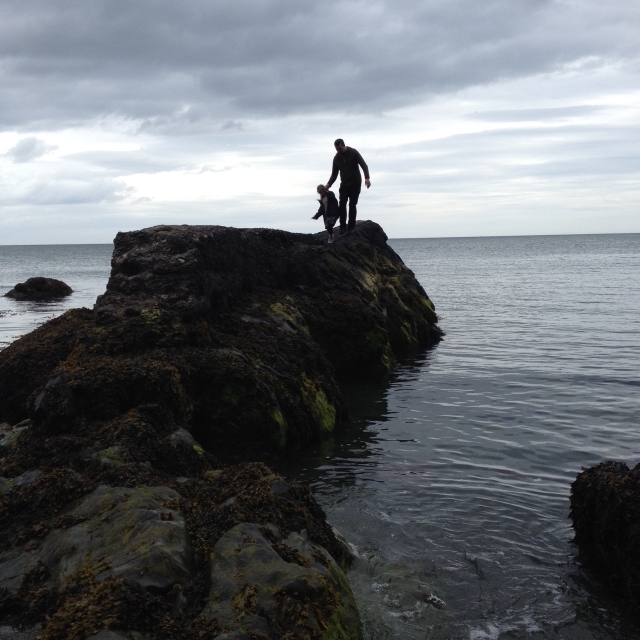 I also thought it would be a good idea to start an Irish language blog to support all of the work I do in that language and to hopefully drum up a new audience over there too. While I was being incredibly conscious of not boring you all to tears talking about my book/writing for kids constantly, I've just realised that I've gone completely the other direction. I haven't written ANYTHING about it here since it's been published! Which, I think you'll agree, is slightly ridiculous considering it's the thing I'm most proud of producing, ever - apart from my daughters! Now, to be fair, I haven't written a huge amount here in general for a while, as juggling all of the things isn't easy at all. There was the launch and then all of a sudden there were school events and library events and literary festival events, a Children's Books Ireland Conference (that I even spoke at!) and meetings about things and lots and lots of photocopying. I've also been writing a few new stories that will hopefully see the light of day in the future. I've been relishing every single opportunity my first book has brought my way and it all culminated in the most incredible moment on Friday night when Bí ag Spraoi Liom appeared on the Late Late Toyshow!!!!! Not only was it front-facing and visible throughout the ENTIRE show, Ryan Tubridy actually held it aloft during the book review segment, spoke it's name and urged people to 'support Irish language books'. My book - being presented to roughly 1.7 MILLION people?!?! THE MOST-WATCHED PROGRAMME OF 2017!!! It is definitely one of the highlights of my entire life. I practically fell off my chair when it happened. I started shaking and, to be frank, for a minute or two I thought I was going to throw up I was so overwhelmed! Since then, I have just had so much positive feedback and lovely support and people sharing pictures of their copies of the book. It is amazing to me. I feel incredibly lucky to be living this dream and to show my gratitude I think it's high-time I offer a couple of copies of Bí ag Spraoi Liom as a giveaway!!! I have two signed copies to give away. If you'd like one of them, just leave a comment below or pop over to my Facebook page, find the post about this blogpost and leave a comment there! I'll pick a winner next Tuesday (12 December 2017). Comhghairdeas to winners: F. Naughton & R. Connolly. For more information about the book plus links to lots of reviews, click HERE. Comhghairdeas! Ba bhreá liom cóip do mo bheirt mhac!